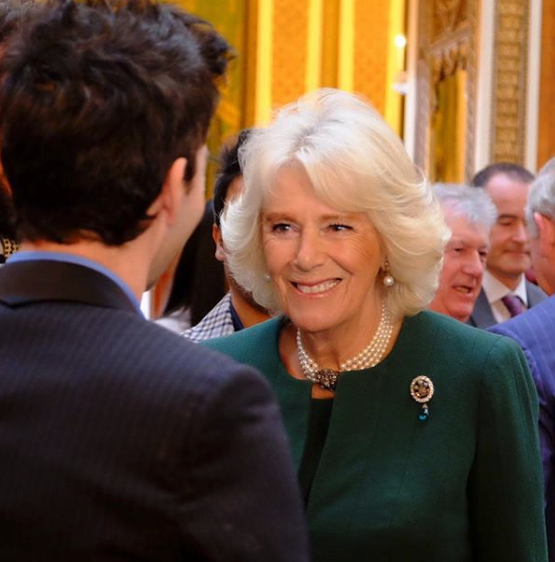 The Duchess of Cornwall made quite the fashion statement earlier this week when she stepped out in a stunning diamond brooch, but it didn’t take long for royal fans to realise it was the very same piece of royal jewellery once favoured by Princess Diana. Camilla wore the antique emerald-and-diamond brooch for an event at Buckingham Palace on Tuesday to celebrate her husband’s 50th anniversary as the Prince of Wales. The brooch was pinned to the left side of her jacket and clearly stood out against her bottle-green jacket and skirt. 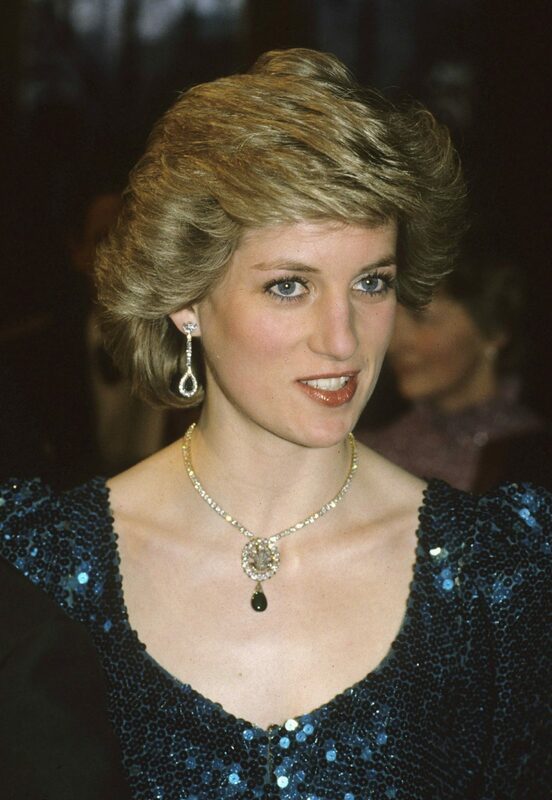 It wasn’t long before British media started reporting on the significance of the brooch and its connection to the late Princess Diana, who wore it on many occasions throughout her marriage to Prince Charles. The royal heirloom features a cabochon teardrop emerald pendant which dangles from an diamond-encrusted oval with a three-feathered insignia of the Prince of Wales in the middle. However, it was fashioned into a necklace by Diana, who wore in it 1986 during a state visit to Vienna, Austria. It made sense for Diana to wear the significant piece of jewellery throughout her marriage to the Prince of Wales, and now Camilla is carrying on the tradition of sporting the piece that has been tied to the various Princes of Wales since 1863. Tuesday wasn’t the first time Camilla has stepped out in the stunning brooch. She first wore it at a London film premiere in 2006, and then again at the Cheltenham Festival in 2012. According to the Daily Mail, the brooch was first given as a wedding gift to Princess Alexandra of Denmark in 1863 by the Ladies of Bristol when she married Prince Albert Edward, Prince of Wales and later King Edward VII. After Alexandra died in 1925, the brooch was reportedly handed down to her daughter-in-law Queen Mary and then on to the Queen Mother, who later passed it on to Diana after she married Charles in 1981. After Diana’s death in 1997, the dazzling jewel was handed back to Queen Elizabeth II, and is considered property of the Monarch. It’s not uncommon for members of the royal family to share the Monarch’s stunning jewellery collection between them and both the Duchess of Cambridge and the Duchess of Sussex have been photographed wearing pieces that once belonged to Diana and the Queen. Meghan wore a stunning emerald-cut aquamarine ring on her wedding day that once belonged to Diana, while Catherine sported Diana’s famed pearl-and-diamond Lover’s Knot tiara to a state banquet in 2018. Some royal fans seemed perturbed by Camilla wearing jewellery that once belonged to Diana given their troubled history, but since the piece belong to the monarchy it seems the royals are comfortable sharing the valuable pieces among themselves, no matter who they previously belonged to. What are your thoughts on this? 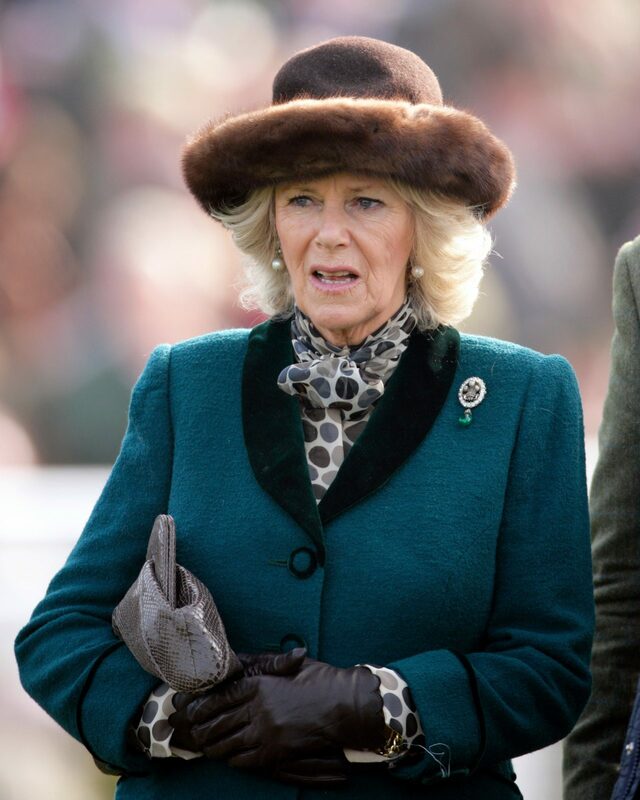 Are you a fan of the Duchess of Cornwall?